UPDATES - Preserved neighborhood aesthetics! Saved Briarwood Lane! Stopped Huge Waste of Taxpayer Dollars - Demanded a Safer Solution. Avoided Destruction of Trees and Curved roads. The bridge is not the reason for flooding, it is the creek capacity, and a new structure will not affect that. 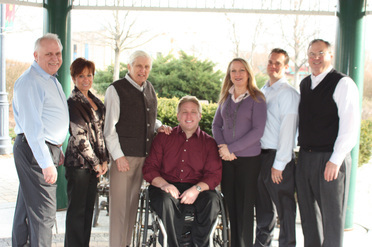 our township representatives in a Primary and General Election. 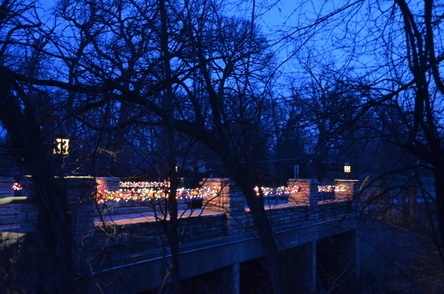 “The Briarwood Lane bridge, in Plum Grove Estates, is absolutely a historic and important element of the surrounding neighborhood and all of Palatine Township. Historical charms like this must be protected, otherwise we risk damaging the character of our neighborhoods. I will always protect the history of Palatine Township. Nomination to be submitted soon! In the process of some of the research the Committee to Save Briarwood did this summer, we learned that Plum Grove Estates, by virtue of the integrity of its mid-century modern design, is eligible to become listed as an Historic District on the National Register of Historic Places. This designation would be an honor for our neighborhood, and would place no restrictions on the property of individual homeowners. The Save Briarwood Committee is currently working with the Historic Preservation Agency on the nomination form. Details will be forthcoming as we move along in the process. Stay tuned! We thank you for showing your support in our effort to maintain the architectural and historical integrity of Briarwood and our bridge. We feel the large presence of lawn signs throughout the neighborhood spoke to the majority desire to repair and not replace the bridge. 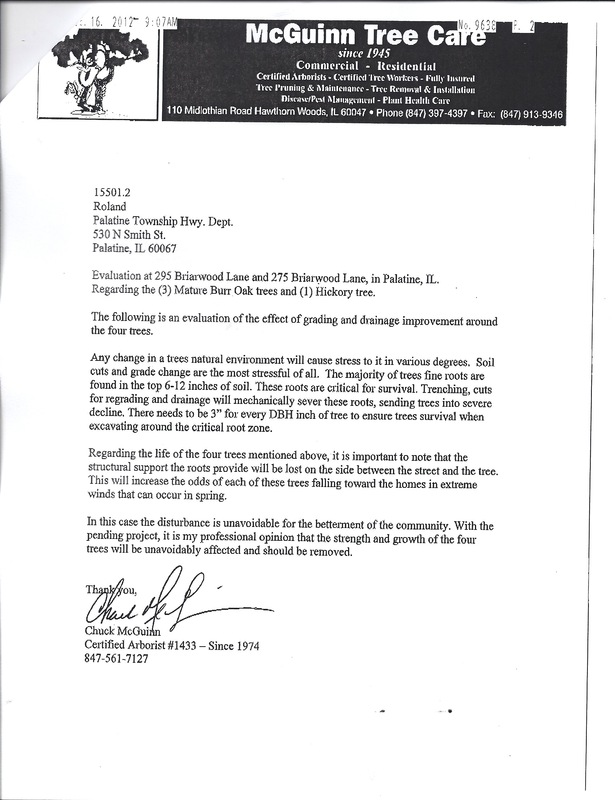 As Plum Grove Estates homeowners were recently informed in the Plum Grove Estates Property Owners Newsletter, the PTRD has decided to put their plans for Briarwood and the bridge on hold for the time being. Due to this fact, and the approaching weather conditions, we are in the process of taking down the signs to store them for the season. It is our hope that the community will come to a consensus with the PTRD when this issue resurfaces but we may need to put the signs out again in the future. If that need should arise we will contact you to see if you would like to post a sign in your yard. In the event we no longer need the signs, we can return them to you if you would like to keep one. 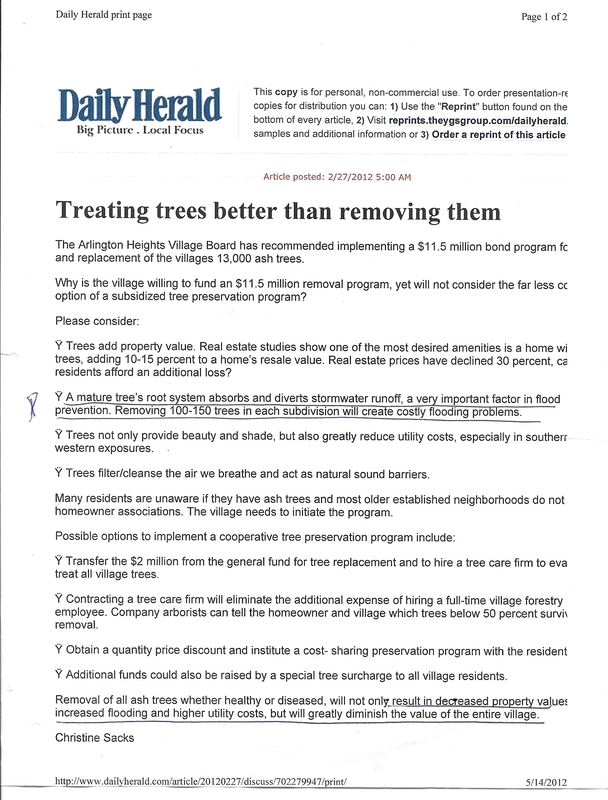 You can send an email to save.briarwood@yahoo.com letting us know, or call Mary Crook at 847-303-5259. 4) It is our understanding that the State Historic Preservation Officer, Ms. Anne Haaker, has determined that the bridge does have historical significance. Clearly, a majority of Plum Grove Estates homeowners support the repair option. At the June Plum Grove Estates Property Owners meeting, both Mr. Powers and our Board President went on record indicating they would support the decision of the majority of our homeowners on this issue. We now have that clear majority of homeowners. Lastly, we have received a copy of an independent inspection of the bridge done by a very qualified Professional Structural Engineer, Mr. Joe Jyawook, P.E., S.E. Mr. Jyawook worked at the Illinois Department of Transportation for 35 years doing bridge design, review and inspection. He was called on to consult for the city of Milwaukee when Miller Park stadium, which was under construction, began to collapse. He has impeccable experience and credentials. We thank the many Plum Grove Estates homeowners and those of you in neighboring communities for your support, and hope you will continue to support the efforts of your committee to Save Briarwood Lane and the bridge. Thank you to all those who have signed and returned petitions! If you would like to sign the Save Briarwood petition but have not already done so, you can click the file to below to download and print it, or click on the "How to HELP" tab (above) for more information. Lou Zucaro, creator of the website Modern Illinois (www.modernil.com), and an aficionado of mid-century modern architecture (such as the homes in Plum Grove Estates), recently came out to our neighborhood to find out more about the Save Briarwood campaign, and to photograph the Briarwood bridge for an article he has posted on his website. He has kindly supported us in the "Community Comments" section of our website (Thanks, Lou!) and, if you haven't already checked out www.modernil.com, you really should. It's a great showcase of local mid-century modern architecture!